What can healthy people learn from the chronically ill or those with disabilities? I want to show you something extraordinary, but you’ll have to take some advice from Willy Wonka and his fantastic quote. Roald Dahl, the author of Willy Wonka and the Chocolate Factory, has many hidden gems– so many indeed, I’ll be sprinkling them throughout. Yes, strike out what you’ve been programmed to believe and reverse it. Grandpa Joe, in the movie Willy Wonka, got out of his sick bed when his grandson received a golden ticket, but I have some dear friends right now with ALS, MS, RA, etc. that haven’t been able to get out of bed for months—can’t feed themselves, bathe themselves, wipe their __ themselves. Unless Yeshua walks into their rooms and heals them, they are going to be gathered with their loved ones sooner than later. And HE can, but He hasn’t yet. I have another friend with RA that has been in a nursing home bed over a decade—a decade in bed, but she has ministered to me during some of my darkest hours. She ministers from a bed of suffering typing text on good days with her pinky fingers as her other ones are like crinkle French fries. “Time is a precious thing. Never waste it.” Willy Wonka. But I ask, which person would waste more time, a person disabled or one with good health? All of us are prone to waste precious time, but I think you’ll be amazed at some of the people I cover in this post. Many of them could have consumed their whole lives in pity, anger, doubt, and fear, but instead ministered and still are ministering to the masses. They don’t have long healing lines wrapped around buildings. They don’t make millions or own jets, but what they have sparkles and shimmers from the inside–out. “Where is fancy bred? In the heart or in the road?” Willy Wonka. I asked the Father some questions the other day. Perplexing questions. I was feeling overwhelmed by the many sick people He has sent across my path, and also not having the time or strength to be there for them like I want to be. Many times, I talk to the Father but don’t get a quick response, but that day He astounded me. Sometimes healthy people upset sick people, and sometimes sick people frustrate the healthier ones, especially those who’ve conquered obesity, Cancer, thyroid issues and the list goes on. They want to fix us. While meditating, Suddenly, I heard this in my spirit. Immediately there Nick was before me smiling. His bio is long, but here’ a snippet. The Father speaks to Moshe, “Who has made man’s mouth? Or who makes him mute or deaf, or seeing or blind? Is it not I, the LORD?” (Exodus 4:11, NASB). What a profound thought! And possibly due to his smiling photo splashing in his pool, we only see one side of his life. 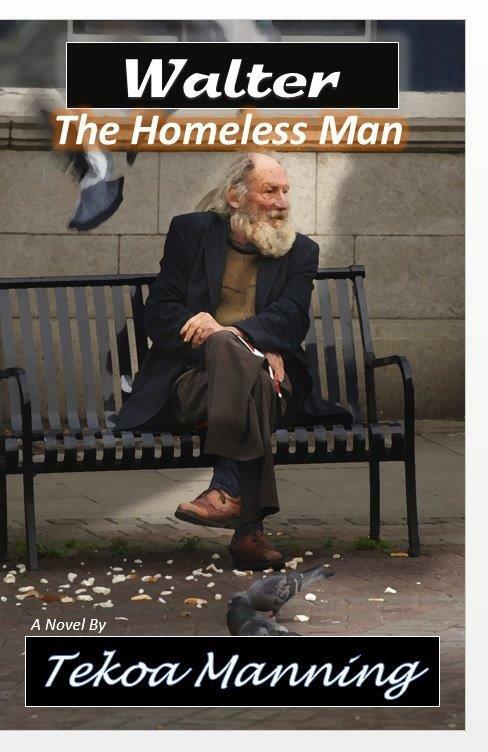 If he was sitting in a wheelchair looking disparaged and weary, would we see him the same? Would our emotions change? Of course, they would. Some would argue that if the Father healed him and he grew limbs, he’d have a more prominent ministry, but what has given him a ministry is his attitude and vigor to make something of this precious life regardless of his physical condition. By the way, two of the seven with tetra-amelia syndrome are sports writers and journalist. I believe in healing and multiple ways of being healed, but is everyone healed physically? No. Not even the most righteous missionaries in the Newer Testament. Not even the great prophet Elisha who died in his disease. Wouldn’t they be eating foods that were grown the Torah way? Eating Kosher? Of course! Wouldn’t they have a better grasp of anointing oils and laying hands on the sick? Why would Paul (Sha’ul) tell Timothy to have a little wine for his stomach, if a swing of his suit jacket, a dab of oil and a “By His stripes you are healed” would work? “Wrong sir, wrong!” Willy Wonka. But let’s face it, there are many people with arms and legs that are suffering greater than smiling Nick. He encourages people to enjoy life and be thankful, grateful even, but if you give him enough kale juice, cut out sugar and carbs, slather him in oils, will he grow arms and legs? Not likely. These things work well for the person who is healthy, or for the ones who have taken their health for granted and have become couch potatoes. I want to present a thought: Could Nick be more whole than you and I? More joyful–More thankful? Wasting less time than those with limbs? Have you ever visited a nursing home, hospital, or orphanage to minister to someone and they ended up ministering to you? Happens every time! There was a man named Lazarus who died and went to Abraham’s bosom. He wasn’t wealthy or healthy. He was sick and in need of food. He had sores oozing. However, in the next life, it was the wealthy strong man who was in torment. The next life. . .
“Now there was a rich man, and he habitually dressed in purple and fine linen, joyously living in splendor every day. “And a poor man named Lazarus was laid at his gate, covered with sores, and longing to be fed with the crumbs which were falling from the rich man’s table; besides, even the dogs were coming and licking his sores” (Luke 16:19-21, NASB). If you want to view paradise, take around and view it.” Willy Wonka. I’ve written about sickness often, but possibly not in these shades of grey and the worse I suffer, the more I have to say. These blogs aren’t for everyone, but perhaps they will help a few. People quote multiple verses on healing. They use them over and over for friends who just received a diagnosis, but most of these people boldly quoting, still wear prescription eyeglasses and see a dentist, take medications for pain or a Tylenol on occasion. Possibly many who claim divine healing took the chemo, had the surgery, etc. for extra coverage. If a person who has paraplegia or a person with quadriplegia is brought into the room, will those who are shouting verses, and natural cures, will they walk over and yell “Life and death are in the power of the tongue. Stand up and walk! He came for you to have an abundant life!” Would they be inclined to tell them to just eat some kale and drink some pomegranate juice– live the Torah way? He did come to give us life and life more abundantly! And Nick is living just that! But Lazarus wasn’t. He was right in front of the Rich man, but the rich man never poured wine or oil in, he didn’t medicate his sores or let him eat at his table. It was a healthy, wealthy man who needed to be healed of a heart condition. By His stripes, we are healed,” is a popular one used for the sick. Peter uses this verse to point out a truth. “…and He Himself bore our sins in His body on the cross, so that we might die to sin and live to righteousness; for by His wounds you were healed” (1st Peter 2:24 NASB). Yes, often it’s talking about being healed from sin, and the lost sheep of the House of Israel. Is there a measure used when regarding how Powerful Our Father is? Is someone with poor eyesight or an earache a better candidate to be healed than say, Nick, growing arms? Why don’t we pray to throw out our bifocals at 40? Why did a man who had vigor and perfect eyesight walk up a hill and die? Because Abba said, it’s time, Moses. Because Abba said its time, Son. “Then the LORD said to Moses, “Behold, the time for you to die is near; call Joshua, and present yourselves at the tent of meeting, that I may commission him.” So Moses and Joshua went and presented themselves at the tent of meeting” (Deuteronomy 31:14, NASB). “Although Moses was one hundred and twenty years old when he died, his eye was not dim, nor his vigor abated” (Deut. 34:7, NASB). “Bubbles, Bubbles everywhere, But not a drop to drink” Willy Wonka. I know that most people want those suffering to get better–to live happily ever after. They do everything out of love, and they want the ones in anguish to be made whole! But what if the person in front of them is more whole than they are? Even happier? “Strike that, now reverse it!” Willy Wonka. And chastened every morning. (Psalm 73:1-13, NASB). Do you feel stricken and chastened? Job did. Jeremiah did and many others. Another person who was born with much adversity was Helen Keller, but she accomplished more than most people who were born with eyes to see and ears to hear. “Anything you want to, do it; want to change the world… there’s nothing to it.” Willy Wonka. What would her life have been like if she was healthy, had perfect vision, and powerful hearing? She saw and heard things many did not, thanks be to her mentor, Anne Sullivan. Who are you mentoring right now that has greatness inside of them, things that need to be birthed for future generations? “Helen visited Israel shortly after it was founded, to promote rights for the disabled and to be an encouragement to the newly-born state. There she met Golda Meir who was Israel’s Labor Minister at that time, and the friendship between the two continued through letters after she had returned to the United States. She worked with the American Institute for the Blind for 44 years, and while in Israel teamed up with the Jewish Institute for the Blind, who presented her with a special silver-covered Jewish Bible when she visited them there. “History has taught you nothing if you think you can kill ideas…. Do not imagine your barbarities to the Jews are unknown here. Would Helen Keller be the same bold, compassionate woman without her disabilities? Without her teacher? Perhaps, but doubtful in the measure of hunger she exuded. How many people with spiritually closed ears and eyes laid hands on her or prayed for her to see while they sat blind and naked without hunger or passion? We can have 20/20 vision and be blind as a bat. Oh, friends, we must rethink some things. “We have so much time and so little to see. 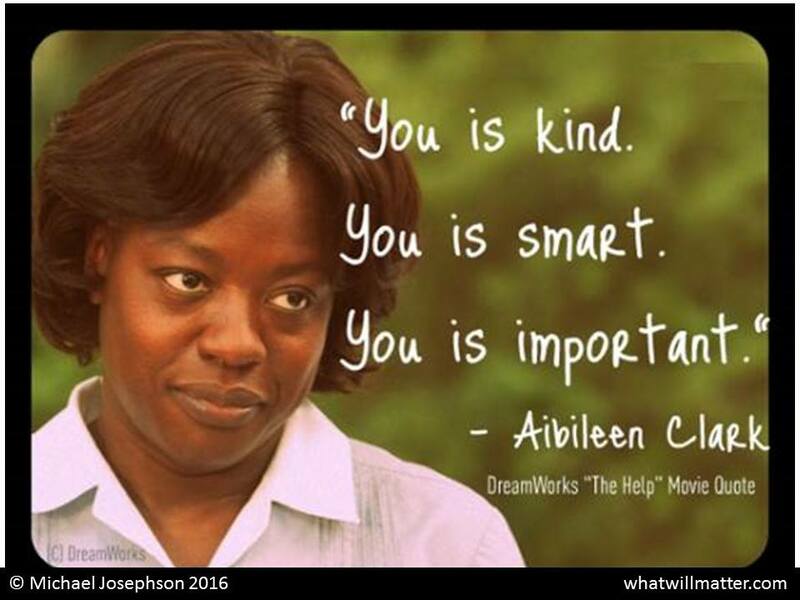 We’ve looked at a few people with disabilities in this portion, but we will look at some with dis-ease, depression and mental health as we continue in our next portion of Willy Wonka, Part # VI. As I said in the last chapter, I don’t believe angels can sin. Many believe Satan was an angel who fell due to pride and that one-third of the angels left with him. Yeshua’s words suggest just the opposite. Yeshua answered and said unto them, ye do err, not knowing the scriptures, nor the power of God. For in the resurrection they neither marry, nor are given in marriage, but are as the Angels of God in heaven. Multiple teachers have confidence in the theory that the angels fell, slept with mortal women, and reproduced giants. However, after careful study, I believe this may be a false doctrine of demons. Of course, I was not there during that time period, but let’s dig in deeper and see if we can uncover some clues. The first portion of this chapter is written by my eighty-two-year-old father who has studied the Bible for years and will give you the accounts of what he believes happened at the beginning of Genesis. Let’s go now and look at my father’s theory and see if it holds water. I discovered a lot of things that I never heard any preacher or anyone else for that matter mention, let alone try to explain. I am NOT claiming to be an authority on doctrine. However, you will see what I am telling you is simply what I believe Adonai’s Word says. I am going to start with the gap theory. I am sure most of you have heard of this theory that may or may not have happened between Genesis 11 and 12. They claim this was a time when dinosaurs roamed the earth. This may or may not have happened; it’s still just a theory. I want to talk about another gap theory that very few mention. That is the gap between the time Adonai created Adam and Eve and placed them in the Garden of Eden until the time they sinned. I don’t think anyone would just assume that they were given a paradise with everything they could ever hope for on the first day and then by the next day had already disobeyed a commandment Adonai had given them. (Jewish tradition suggests it took seven years). It could have been years; the Bible does not say. I believe they were still living in eternity until they sinned. You see, that is when I believe time started. Here is where I am going to say something that will probably blow your mind but don’t quit reading. Please hear me out. I believe Adam and Eve (Chavah) could have had a number of children before they sinned. It’s all there in Genesis. “And God blessed them, and God said unto them, be fruitful, and multiply, and replenish the earth, and subdue it: (Genesis 1:28, KJV). Then after they had sinned, He says in Genesis 3:16 “…I will greatly multiply thy sorrow and thy conception; in sorrow thou shalt bring forth children;” (KJV). Now we believe Adonai can do anything. However, our Father knows how to multiply, and zero multiplied by any number is still zero. If there had never been the pain of childbirth before, Adonai could not have multiplied it. This is the first proof they may have had children before they sinned. The second proof is found in Genesis 3:20 it says, “And Adam called his wife’s name Eve; because she was the mother of all living” (KJV). Then in the beginning of chapter four, it says, “And Adam knew Eve his wife; and she conceived, and bare Cain, and said, I have gotten a man from the Lord” (KJV). She was already the mother of all living back in the third chapter of Genesis. You may be thinking, well, perhaps it was not written in chronological order. I say perhaps it was. For the third proof, we need to go back to the third chapter of Genesis and the last verse. “After he drove the man out, he placed on the east side of the Garden of Eden cherubim and a flaming sword flashing back and forth to guard the way to the tree of life” (Genesis 3:24, NIV). Why would Adonai do this? Why didn’t He just destroy the garden? I believe the reason he couldn’t destroy it then was because he was protecting the children and grandchildren of Adam and Eve. The sages believe the garden represented Israel. Possibly there were many generations that were still in the garden and had not sinned. I know some of you are thinking if this is true what happened to these people and why are they not mentioned in the Bible? Well, they may be. Let’s take a look at Genesis 6:1-2. “And it came to pass, when men began to multiply on the face of the earth, and daughters were born unto them, That the sons of God saw the daughters of men that they were fair; and they took them wives of all which they chose” (KJV). If these were not children of Adam and Eve that had not sinned, then who were they? I have heard some say they were fallen angels. But the Bible calls them sons of Adonai. (Sons who kept Torah) Let’s look at Hebrews 5. “For unto which of the Angels said he at any time, you are my Son;” (Hebrews 1:5, KJV). Furthermore, Romans 5:14 says, “Nevertheless death reigned from Adam to Moses, even over them that had not sinned after the similitude of Adam’s transgression…” (KJV). Now think about this, to have sinned after the similitude of Adam’s transgression, wouldn’t one have to of been in the garden and eat of the forbidden fruit in order to do that? Not necessarily, let’s look at a better translation for more understanding. “Nevertheless, death ruled from Adam until Moshe, even over those whose sinning was not exactly like Adam’s violation of a direct command.” (CJB). The point is the sons of Adonai were sinning, not celestial beings. The genealogy of Yeshua says, “The son of Enosh, the son of Seth, the son of Adam, the son of God” (Luke 3:38, NIV). Therefore, it makes sense to me if Adam was the son of Adonai, for he is listed, then we can assume that children born before Adam and Eve sinned would be sons of Adonai as well. Another reason they couldn’t have been demons or fallen angels is found in Genesis 6:4 it says, “…when the sons of God came in unto the daughters of men, and they bare children to them, the same became mighty men which were of old, men of renown” (KJV). If demonic angels could reproduce, we would be overrun with them. There would be one behind every tree and dozens in every closet. “At the resurrection people will neither marry nor be given in marriage; they will be like the angels in heaven” (Matthew 22:30, NIV). This indicates to me that angels do not reproduce. How could they when they are celestial beings? Let’s go back to Genesis chapter 6:3, “And the LORD said, My spirit shall not always strive with man, for that he also is flesh: yet his days shall be an hundred and twenty years” (KJV). I have heard preachers use this verse and say, “Saints, if you turn away from the Holy Spirit, there will come a time when He will no longer deal with you.” Well, this may very well be true, but in my opinion, that’s not what He is talking about here. He is displeased with the sons of Adonai for defiling themselves with these daughters of men born after the sinful nature (Torahlessness). I have also heard some people read this and say this is speaking of when Adonai shortened man’s life to one hundred and twenty years. Personally, I don’t think that’s what he’s talking about here either. I think he was displeased with these Sons of Adonai taking wives and defiling themselves with these daughters of men born after the sinful nature. (Possibly, these men and women would not have been in the garden area, under the covenant with Adam as their High Priest. These would have been men who turned their back on our Father’s instructions and sought their fleshly nature). My father has written some interesting thoughts here, wouldn’t you agree? It’s possible there were children before Adam and Eve (Chavah) fell. Who am I to say it’s impossible? I for one wanted to cut in and tell you some reasons why I think much of his theory holds water, and that is not just due to men in the Bible being referred to as “Sons of Adonai” but being referred to as angels as I explained earlier. Many have disputed my father’s theory; however, I believe much of this understanding of giants stems from Greek and Roman myths as well as other Asian cultures. I’m not saying the N’filim were not on the earth at that time, just that they are possibly not half-angel/half-man. In Greek mythology, the Titans were a people of massive proportions who were the offspring of Olympian gods. It was believed that the Titans were imprisoned in a section of the underworld called Tartarus. II Peter 2:4 says, “For if God did not spare the angels who sinned, but cast them down to hell (Tartarus) and delivered them into chains of darkness, to be reserved for judgment; …” (NKJV). Though you already know all this, I want to remind you that the Lord at one time delivered his people out of Egypt, but later destroyed those who did not believe. And the angels who did not keep their position of authority but abandoned their proper dwelling—these he has kept in darkness, bound with everlasting chains for judgment on the great Day. Could the translators have erred when rendering the word “angels?” We will delve in deeper in part two of this interesting topic. We closed our last portion with a verse concerning a very touchy topic, angels who did not keep their authority. From reading Jude’s account, we can see that this is talking about a circumstance that happened after Egypt when Adonai brought the children of Israel out. The topic has something to do with positions of authority. Let’s look at something that fits perfectly with what is going on. Moses also said to Korah, “Now listen, you Levites! Isn’t it enough for you that the God of Israel has separated you from the rest of the Israelite community and brought you near himself to do the work at the Lord’s Tabernacle and to stand before the community and minister to them? He has brought you and all your fellow Levites near himself, but now you are trying to get the priesthood too. This fits well when we see the angels (angelos) as men. If you read the whole chapter of II Peter, you will see that Adonai is talking about the wicked men in Noah’s day, the wicked men of Sodom and Gomorrah, and also these men who followed Korah. They did not keep their positions of authority because they wanted to usurp the priesthood! Let’s look at this deeper and see exactly what this casting down to hell is about. Then Moses said, “This is how you will know that the Lord has sent me to do all these things and that it was not my idea: If these men die a natural death and suffer the fate of all mankind, then the Lord has not sent me. But if the Lord brings about something totally new, and the earth opens its mouth and swallows them, with everything that belongs to them, and they go down alive into the realm of the dead, then you will know that these men have treated the Lord with contempt. In the very same way, on the strength of their dreams, these ungodly people pollute their own bodies, reject authority and heap abuse on celestial beings. But even the archangel Michael, when he was disputing with the devil about the body of Moses, did not himself dare to condemn him for slander but said, “The Lord rebuke you!” Yet these people slander whatever they do not understand, and the very things they do understand by instinct—as irrational animals do—will destroy them. These men of Korah rejected Adonai’s mighty prophet Moses’s authority, and the earth swallowed them up. Hell is a word that has multiple meanings, and in this particular case, it means Tartarus from the Greek word Tartaroo, which is used only once in the Newer Testament in (II Peter 2:4). This is not referring to a place of flaming fire, and you cannot chain celestial beings there. They walk through things. They disappear. They fly. I strongly believe this is the men who rose up against Aaron and Moses. This should clarify and open your eyes to more understanding. I will use the next verse to elaborate more on this issue. “But even if we, or an angel from heaven, should preach to you a gospel contrary to what we have preached to you, he is to be accursed!” (Galatians 1:8 NASB). This word “angel” is also a word for a prophet or a messenger of Adonai. Remember, John the Baptist was Adonai’s chosen messenger, but according to this verse, others could have preached another gospel. Other angels? No, other men. Can you imagine an angel standing in all its glory, able to soar and fly, appear and disappear, said to do all Adonai’s bidding, teaching a contrary gospel? Never! “His created ones, who do His commands and obey Him. “Bless the LORD, O you his angels, you mighty ones who do his word, obeying the voice of his word!” (Psalm 103:20, NASB). He also has angels who He sends to wreak havoc and destroy, but one thing is certain, He controls them. “He sent upon them His burning anger, Fury and indignation and trouble, A band of destroying angels” (Psalm 78:49, NASB). He controls all of them, and as scripture explains clearly, they are His servants. “Are they not all ministering spirits, sent out to render service for the sake of those who will inherit salvation?” (Hebrews 1:14, NASB). Also, I would like to quote from the book of Jasher, which is referred to in Joshua 10:13 and II Samuel 1:18. Just as there were multiple copies of the book of Enoch, there were several copies of the book of Jasher as well. One published in London in 1751 and again in Bristol in 1829, these two were considered imitations. Below in italics is part of the introduction to the book. And this is the source I am quoting from. We will start at Jasher 4 verses 16, 17, and part of 18. This type of wickedness is currently something we see happening in the middle-east by extremists and sadly, all over the world due to sexual lust. I must continue to voice that I believe angelic beings were created perfect and were never put out of heaven. Many scriptures seem to imply that the angels are perfect and created for Adonai. Adonai just spoke in Psalms that He created the angels for Him and that He established them forever! He informs us that there is great joy in heaven over one sinner repenting. Having said that, we must realize by this point that it is clearly possible that Satan is not an angel. Also, Lucifer is a Latin word as we have already discussed in prior chapters. I believe these angels Adonai created are perfect, immortal, and used by Adonai. The dragon many say is Satan is described in Revelations. Many say Satan is the dragon and the stars are fallen, angels. However, does Satan have seven heads, ten horns, and seven crowns on his head? No. These are kingdoms and rulers of these kingdoms. It is kings who wear crowns, not angels. It describes the worldly kings of the earth. Yeshua told the people, “Why do you not understand what I am saying? It is because you cannot hear my words? “You are of your father the devil, and you want to do the desires of your father” (John 8:43-44, NASB). Was their father literally the devil? These people were not angels nor were they fallen deities, they were men who could not hear the Word of Adonai. Their father wasn’t literally Satan. They had earthly fathers. Their fathers were the religious leaders who had brainwashed them. The strict school of Shammai is where we get the term “synagogue of satan.” Those who sat under him were told their father was the devil (an adversary). They did not want Yeshua to be King. They were in control, and they loved the power, wealth, and control of the people (Anti-Christ). When they came to arrest Yeshua and Peter drew his sword, Yeshua told him this: “Or do you think that I cannot appeal to My Father, and He will at once put at My disposal more than twelve legions of angels?” (Matthew 26:23, NASB). Twelve legion is more than 36,000 angels. He doesn’t seem concerned about any fallen ones or about these men who have come to arrest him. 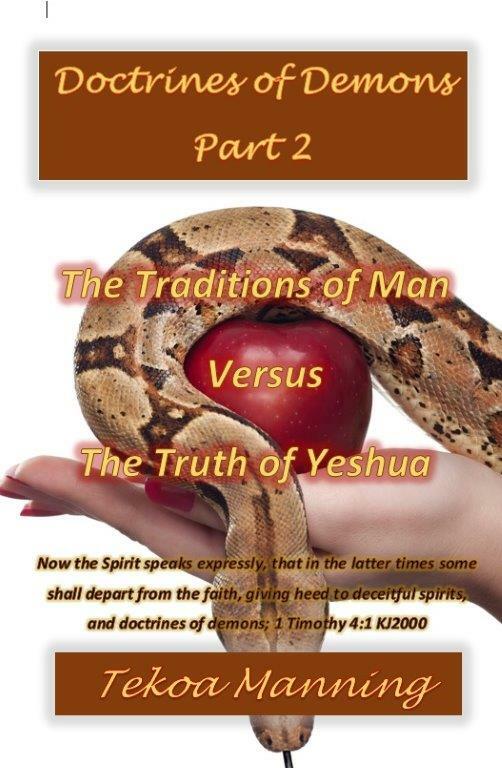 Yeshua called men who were religious evil serpents: “You snakes! You brood of vipers! How will you escape being condemned to hell?” (Matthew 23:33, NIV). But we know these men were not literally snakes. This Babylonian system is one that will be hurled down at the end of days. This system that has destroyed and taken from the poor, the widows and the orphans, and has piled up for itself kingdoms on earth with money it has stolen from the needy, will one day be judged. Have you ever noticed that the beast in Revelation thirteen also has seven heads? Perhaps there is even more to these scriptures. Did you know the constellation Draco is the Greek word for dragon and is referred to as the serpent, dragon, and devil? It really does have a tail, and it sweeps the stars and causes meteor showers. A great sign appeared in heaven: a woman (Virgo/Rachel/ Israel) clothed with the sun (Father), with the moon (Celestial calendar/Feast/His seasons) under her feet and a crown of twelve stars (Twelve Tribes,) on her head. She was pregnant and cried out in pain as she was about to give birth. Then another sign appeared in heaven: an enormous red dragon (Constellation Draco/ adversary/ Babylonian System) with seven heads and ten horns and seven crowns on its heads. Its tail swept a third of the stars out of the sky and flung them to the earth. The dragon stood in front of the woman who was about to give birth so that it might devour her child the moment he was born. She gave birth to a son, a male child, who “will rule all the nations with an iron scepter.” And her child was snatched up to God and to his throne. The woman (Israel) fled into the wilderness to a place prepared for her by God, where she might be taken care of for 1,260 days (3.5 years or 1st half of tribulation). “Now he had still another dream, and related it to his brothers, and said, “Lo, I have had still another dream; and behold, the sun (Rachel) and the moon (Jacob) and eleven stars (Eleven brothers plus Joseph, all twelve tribes) were bowing down to me” (Genesis 37:9, NASB). Do you still believe this dragon is a red horned angel with a pitchfork? This woman is Israel. There is much more. What is happening in the heavens is being played out on the earth. “On earth as it is in Heaven” might have a deeper meaning than we thought. We look to the moon for His calendar and Festivals. And their expanse is declaring the work of His hands. Day to day pours forth speech, and night to night reveals knowledge. There is no speech, nor are there words; Their voice is not heard. Their line has gone out through all the earth, and their utterances to the end of the world. In them He has placed a tent for the sun, which is as a bridegroom coming out of his chamber; it rejoices as a strong man to run his course. This knowledge spoken of is increasing not just in the world but among Adonai’s people. Adonai has always used His skies for times, seasons, and yes, prophecy. Everything is not black and white yet. As we get closer to His return, I believe the gray areas will decrease as knowledge increases. I pray that the revelation in this chapter is a start at digging into Adonai’s Word with new ears to hear even more of what the Spirit has to say! 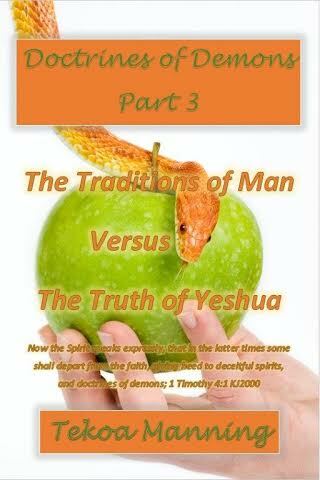 There will be more evidence and scripture reference concerning this topic in Doctrines of Demons Part 3. New release coming soon. This blog is especially late and should have been posted right after Yom Kipper/ Day of Atonement, but life happens. I hope you enjoy this tribute to friends who have a unique story to share. Keith & Jenn, I wish you nothing but the best. In Sleeping Beauty, due to a curse, the Princess falls into a deep sleep for 100 years until one day she is awakened by a kiss from a king’s son. What would cause a bride to forget about her wedding date, lose interest in her first love and fall asleep? It could only be poison. “Then the kingdom of heaven will be comparable to ten virgins, who took their lamps and went out to meet the bridegroom. “Five of them were foolish, and five were prudent. “For when the foolish took their lamps, they took no oil with them, but the prudent took oil in flasks along with their lamps. “Now while the bridegroom was delaying, they all got drowsy and began to sleep. “But at midnight there was a shout, ‘Behold, the bridegroom! Come out to meet him.’ “Then all those virgins rose and trimmed their lamps. “The foolish said to the prudent, ‘Give us some of your oil, for our lamps are going out.’ “But the prudent answered, ‘No, there will not be enough for us and you too; go instead to the dealers and buy some for yourselves.’ “And while they were going away to make the purchase, the bridegroom came, and those who were ready went in with him to the wedding feast; and the door was shut. (Matt 25:1-10, NASB). This blog post will tell a unique story of two lovers and their journey. Throughout this blog, you will hear two distinct voices, the voice of the bride, Jennifer, and my own voice. I will warn you, it is a tad longer than most my writings, but one of my favorites thus far. Before we get started on this journey, I want you to picture a Glorious King and our bridal clothing, clean and white, without spot or wrinkle. Brides get new names. Brides wear royal garments. You are about to enter a wedding ceremony on a most peculiar date. It’s not a lavish ceremony. There were no tuxedos, no grand ballroom displays. No champagne or limousine for the bride and her maidens, but there was something there, something tangibly felt. The wind of His Breath breathed on the people, and many of the people wept. The name Jennifer means ‘Fair one.’ Keith means ‘the Forest/ Wind.’ Both meanings hint to His Holy Spirit—a MIGHTY rushing wind blowing upon us. 5) and 13 days before mine (Oct 2). I felt completely confirmed in the date because of not only our favorite number 13 (love, unity, covenant, and eternity) but also because the date would be 9-18-18. Nine (fruitfulness, fruit of the spirit, and the womb) being the number signifying birth and 18 (life, prayer, worship) being double that (plus 8+1=9 again). I felt it appropriate that we would be birthing our future, our permanence, and our ministry from the very day of our wedding onward. This event was placed on a very unusual date indeed, the evening going into the Day of Atonement—Yom Kippur, a Tuesday night at 6:30 pm. If you are unfamiliar with this day, I hope the theme of the wedding and the hidden nuggets from His Word spark your interest. Jennifer and Keith had been young sweethearts; now 30 years later, they were becoming ONE. The non-denominational church where the event was being held is called ‘Awakening Church.’ How intricate our Father is. We blow the shofar in this season to awaken us from our slumber so we can prepare our bridal gowns. “Awake, sleeper, And arise from the dead, And Christ (Messiah) will shine on you” (Ephesians 5:14, NASB). Even the age of their first proposal reminded me of the 12 tribes of Israel. Remember, Judah was only one tribe. We met when I was 11 and he 12. We dated about a year and a half during which time he proposed to me at the old farmhouse I used to live in (I was 12 and he 13 at the time). We were broken up after that (in 7th grade) by his cousin who was my best friend and who deceived us with lies. We went through the rest of middle school and high school together watching each other grow up but never speaking. We were both destroyed emotionally by it, never speaking to the other one about it, and went on to pick multiple toxic and abusive partners. Years ago, I met the groom online, and learned that Keith was working on a murder mystery that’s now available on Amazon titled Foolish Pride. He picked up my fictional works and loved them. He opened up about his personal past and the many hurts he’d endured. After reading my fiction, he began to read my teaching books. Once while my husband and I were speaking at an assembly, he drove over an hour to attend, and he purchased more books. My husband and Keith soon realized they knew each other from their background in law enforcement. We heard from Keith periodically. We learned later on that he was going through a personal journey of crushing. Our hearts went out to him. Jennifer: Fast forward to May 1, 2013, we found out that the breakup had been a lie and that neither of us had intended to leave the other. We spoke long enough to heal the old wounds and get closure. We lost touch for a bit but then began talking in late Aug of 2015. Unlike Valentine’s Day, the Hebrew holiday of love happens each year in late August in the month of Av’. The single women borrow white dresses from one another, and they go out into the fields to sing and dance. The single men come out to gaze upon the fair maidens. Can you picture our Heavenly King? “And the daughters of Jerusalem would go out and dance in the vineyards located on the outskirts of the city. And everyone who didn’t have a wife would go there. And what would they say? Young man, lift up your eyes and choose wisely. Don’t look only at physical beauty’ (Proverbs 31:30). “And the daughters of the rest of Israel would borrow from each other, so as not to embarrass those who didn’t have.” (Talmud, tractate Ta’anit 30b-31a). We finally saw each other face to face again in late Oct 2015 after 25 years of not seeing each other in person. I became certain that God wanted us together for a purpose and continued to place myself in Keith’s presence as often as I could until he was healed enough to see for himself that we needed to be together. Keith taught me about faith, patience, and how to seek God intensely with passion. By April 3 2016 he was willing to go on “a date” with me. He reminded me not to get my hopes up. But he also told me, when I asked what book of the Bible I should start with, to read Ruth. So I did. I believe that he deeply wanted to try again with me but was so broken that he didn’t want to hurt me or get himself hurt again. On my 40th birthday Oct 2, 2016, he kissed me for the first time (our second “first kiss”) and agreed that we were finally dating. I wanted to chime in here again before getting to the wedding ceremony. Let’s relook at the date above. October 2nd of 2016 was the Feast of Trumpets in the year 5777. Another name for this feast is Yom HaKeseh, “The Day of the Hiding” or “the Hidden Day. Jesus/ Yeshua spoke about this day. “But of that day and hour no one knows, not even the angels of heaven, nor the Son, but the Father alone. “For the coming of the Son of Man will be just like the days of Noah” “Therefore be on the alert, for you do not know which day your Lord is coming (Matthew 24:36-37 42, NASB). In ancient customs, a Jewish wedding proceeded with a betrothal period when the groom worked on building a room onto his father’s house for his bride. “In My Father’s house are many dwelling places; if it were not so, I would have told you; for I go to prepare a place for you” (John 14:2, NASB). While the groom was working on the house, the bride was working on her wedding garments. When the father told the son, ‘it is time,’ a shofar was blown, and the groom would go get his bride for the wedding ceremony. The bride was to keep her bridesmaids near, their lamps filled with oil, and her garments clean, white, and ready. The verse from Matthew above explains that we will not know ‘which day’ our Messiah is coming, but friends we can know the very season when we keep His holy days. They were still being kept throughout the newer portion of the Bible. Let’s look at this deeper. ”Now as to the times and the epochs, brethren, you have no need of anything to be written to you. For you yourselves know full well that the day of the Lord will come just like a thief in the night. While they are saying, “Peace and safety!” then destruction will come upon them suddenly like labor pains upon a woman with child, and they will not escape. But you, brethren, are not in darkness, that the day would overtake you like a thief; for you are all sons of light and sons of day” (I Thessalonians 5:1-5 NASB). We do not have to be in darkness! We are to be sons of light and sons of the day. “Thief in the night” is a Jewish idiom for the Feast of Trumpets/ Rosh Hashanah. These days are all about Jesus/ Yeshua and hold the keys to His coming return–the day He will set up His glorious Kingdom. The reason no man knows the day or hour is because the Feast of Trumpets always falls on a new moon. Since weather can affect the sighting of a new moon sliver, we soon realize why no man knows the day or the hour. They had moon spotters back then who would search the sky for the first sliver of the moon. The Sanhedrin, like our wedding couple, would need two witnesses (moon spotters). The world has its own calendar, but Abba has written His in the Heavens. The moon is ‘born again’ every month. Jennifer was returning to her ‘first love.’ Yeshua said this to one of the 7 churches, “But I have this against you, that you have left your first love” (Revelation 2:4, NASB). After some time, Keith informed us that he had reconnected with his ‘first love,’ and he was getting his CDL license. Things were looking up. Shortly afterwards, He came to one of our meetings and shared his testimony. It’s touching to see an ex-marine, truck driver, with a law enforcement background get teary eyed, but he did. He explained how reading Polishing Jade and Walter the Homeless Man helped him forgive his abusers and heal from the pain of his past. He shared his journey of faith with the Father of Lights and there wasn’t a dry eye in the room. The next time my husband and I saw him, he had his soulmate by his side, and she was everything I imagined. Soft, kind, intelligent, a wordsmith, a caregiver, a counselor for those troubled in spirit, and I instantly liked her. We learned of their engagement, and they shared their story of how the Father brought them back together after 30 years. But guess what event he brought her to? It was none other than the Feast of Tabernacles/ Sukkot. This is our wedding day. When Yeshua returns to tabernacle among us. “Let us rejoice and be glad and give the glory to Him, for the marriage of the Lamb has come and His bride has made herself ready. It was given to her to clothe herself in fine linen, bright and clean; for the fine linen is the righteous acts of the saints” (Revelation 19:7-8 NASB). The theme of the wedding was ‘books.’ Ironic that it fell on the eve of the day when our names are said to be sealed in His Book for another year? Allow me to give you a short synopsis of this amazing event before going into the wedding ceremony. The seventh month is called Tishri in Hebrew. Remember this is when Keith first proposed and also the exact date of their second kiss, its none other than the Feast of Trumpets. “Speak to the sons of Israel, saying, ‘In the seventh month on the first of the month you shall have a rest, a reminder by blowing of trumpets, a holy convocation” (Leviticus 23:24, NASB). If a man were elected as King, he would not be crowned and eligible to rule until after his coronation during this time. This is the season we look for our returning King, Yeshua, who will be crowned King of the universe! He will be ruler over all the kingdoms of the world. Paul spoke about these awakening shouts! “In a moment, in the twinkling of an eye, at the last trump: for the trumpet shall sound, and the dead shall be raised incorruptible, and we shall be changed” (1 Corinthians 15:52 KJV). Jesus/ Yeshua has fulfilled the first portion of feast called the spring feast, but we are still waiting for the fall feast to come forth. So after the Feast of Trumpets, known as Yom Teruah (Awakening Blast or Shout), we enter a time called the Ten Days of Awe, where we begin great introspection, repentance and trying to make right with anyone we may have wronged. Salvation isn’t a one-time prayer. Paul said we were to work out our own salvation with fear and trembling (Philippians 2:12). “For the Lord Himself will descend from heaven with a shout, with the voice of the archangel and with the trumpet of God, and the dead in Christ will rise first” (1st Thessalonians 4:16, NASB). During the season of this Feast, the gates of repentance are thought to remain open until the Day of Atonement, at which the judge makes His final decree. Yom Kippur is the holiest day. It marked when the High Priest would go behind the veil into the most holy place and make atonement for the sins of the people. Hebrews chapter 9:12-13 explains how our Messiah went one time for all. “He entered the holy place once for all, having obtained eternal redemption. For if the blood of goats and bulls and the ashes of a heifer sprinkling those who have been defiled sanctify for the cleansing of the flesh, 14how much more will the blood of Christ, who through the eternal Spirit offered Himself without blemish to God. . .
Oh, friends, think about this on a deeper level! What man hurries to pick a bride? Men of great wisdom carefully study a possible mate. They don’t just rush in and pick a woman that looks good on the outside; they look at her heart. They watch, study, and make sure the woman they become intimate with will be a wise woman who builds her house. Jennifer believed lies and left her first love. Through lies and deceit, Israel went far away from her husband, and He divorced His bride. “And I saw that for all the adulteries of faithless Israel, I had sent her away and given her a writ of divorce” (Jeremiah 3:8, NASB). He uses the prophets to explain how one day He will gather them again. And He is! Yeshua said He came for the lost sheep of the House of Israel. But let’s get back to the Book of Life and visit this very curious wedding invitation! Actually the most peculiar and inventive wedding invitation I have ever seen. It was a library card—old school! I want you to imagine the heading where it says author, and picture the Author and Finisher of our faith. “looking to the author and perfecter of faith – Jesus (Yeshua), who, over-against the joy set before him — did endure a cross, shame having despised, on the right hand also of the throne of God did sit down;” (Hebrews 12:2, YLT). It is the story of us. I hope you are as touched as me as we watch this library card unfold in the spirit during this blog. Truth was revealed at Mount Sinai. Acts chapter two is also about a Feast day termed Pentecost or Shavuot in the Hebrew. This was when the Torah was given over 3,000 years ago, and our wedding vows were said. This truth revealed matches their card. Just days later, on May 15, 2013, was the day of Pentecost or the Feast of Shavuot, rather. A shofar was sounded at that time as well. Abba Father (the Groom) and Israel (His Bride—the story of us) took their vows. The shofar waxed louder and louder, and our Father gave the people a moral code of conduct which we call the Ten Sayings or Ten Commandments, written in chapter 20 of Exodus. Before the commandments are even given in chapter 20, the bride says this, “All that the LORD has spoken we will do!” (Exodus 19:8, NASB). As my husband and I walked into the church, we were delighted to see the reception area adorned for the wedding supper. Each table held something mind-blowing. In the place where one would usually see flowers and candles, their tables were adorned with books tied with strings. Excuse me while I stop to sing. Books on the day of His Books! Amazing. And atop the books were glass jars that had written scrolls rolled up and sealed instead of flowers. 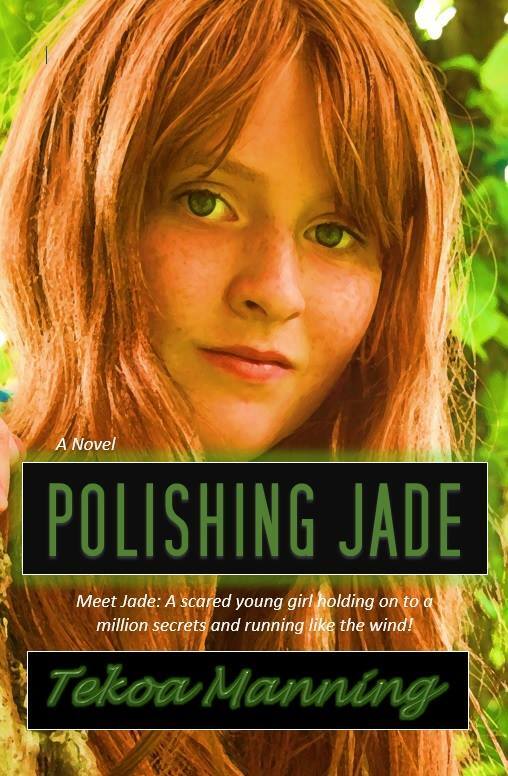 Each stack of books on Jennifer’s tables had a typed quote or passage from a favorite book, and there at one of the tables, I spotted one of my own babies, Polishing Jade! My heart jumped with joy at all the Father was showing me concerning His feast day and our soon coming wedding day. He even whispered a vow He made to me concerning my pen. Yes, like the quote from The bridge of Terabithia, just keep your mind wide open to these Feast. They are filled with wonder. Jenn and Keith were about to give their vows and say “We will do.” They were making vows on the day when our names are sealed in the Book of Life. The Father knows the time of His first proposal to all of us. I was five or six years old, but I remember the day quite well when with tears in my eyes I asked the Father and His Son to accept me and change me. I also remember the day when I was like the prodigal son and went far away from my Father, living with swine and in drunkenness. I am thankful for a merciful Father who has made a way of redemption for us all, aren’t you? In Acts chapter two, over 3,000 souls came back into their wedding covenant. Although they had sinned and He had scattered them across the earth—He had even written them a certificate of divorce, but now the blood of Yeshua had covered their transgressions and made a way for them to be united again. I’m singing an oldie but a goody, REUNITED and it feel so good. After Rosh Hashanah or the Feast of Trumpets, we say to one another, “May your name be inscribed in the book of life.” It is during these ten days we try and repent for anything we may have done or any person we may have hurt. “Then I saw a great white throne and Him who sat upon it, from whose presence earth and heaven fled away, and no place was found for them. And I saw the dead, the great and the small, standing before the throne, and books were opened; and another book was opened, which is the book of life; and the dead were judged from the things which were written in the books, according to their deeds. And if anyone’s name was not found written in the book of life, he was thrown into the lake of fire” (Revelations 20:11-12, 15, NASB). 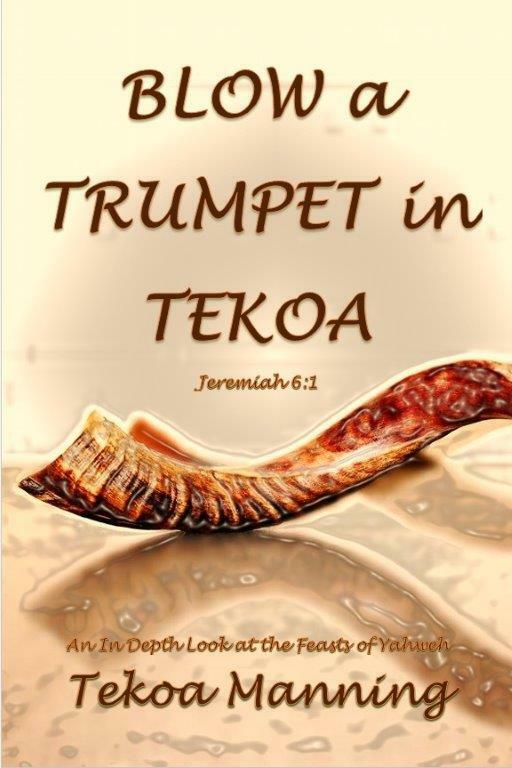 It is on Yom Kippur (The Day of Atonement) when the Great Trumpet (Matthew 24)), known in Hebrew as the Shofar HaGadol is blown. We entered the church (Awakening) and were seated in the sanctuary. It was dimly lit and lights shined from strands laced on the altar. Suddenly the bridesmaids (Wise virgins), (5 total), came down the aisle carrying their own stack of books tied in string. As they passed by I noticed one of my books in their hands. I learned later, that all the bridesmaids carried one of my books in their stacks. I wept more. How many times have I laid my books at His altar? Our Father is so intricate. He doesn’t miss a beat! He said, “Just go to the wedding, Tekoa!” He had treasures for me there. He has treasures for you there. He is saying, “Just come to my wedding feast!” This reminded me of several passages. “The kingdom of heaven is like a king who prepared a wedding banquet for his son. He sent his servants to those who had been invited to the banquet to tell them to come, but they refused to come” (Matthew 22:2-3 NIV). “Be dressed in readiness, and keep your lamps lit. “Be like men who are waiting for their master when he returns from the wedding feast, so that they may immediately open the door to him when he comes and knocks. “Blessed are those slaves whom the master will find on the alert when he comes; truly I say to you, that he will gird himself to serve, and have them recline at the table, and will come up and wait on them. “Whether he comes in the second watch, or even in the third, and finds them so, blessed are those slaves” (Luke 12:35-37 NASB). The pastor opened up the ceremony and informed us that the bride to be and groom had requested to worship before they exchanged vows. The singers came forth, and the music started. Many arose from their seats and lifted their hands to the Father of Lights. A sweet smelling fragrance entered the room and then a song was played. This song touched us so much we were both in tears. The Title simply “History.” History is a love song from our Father to His Bride. A song of redemption. How far back do we go? Remember the first proposal! Oh, how He loves us! You’re my treasure, You’re my child! So after the reception and book talk, we gathered around for cake and dancing and singing, then home to begin our fast. After the fast is over, we enter into a time of great celebration. The feast of Tabernacles or Sukkot. This feast is the 7th Feast and it happens in the 7th month and it last for 7 days. It’s our wedding rehearsal for the real deal! Oh Saints, think about the beauty of a bride on her wedding day. When Yeshua returns in all His Glory, and we rule and reign with Him it will be the season of our joy. Remember those wise and foolish virgins at the beginning of our blog? They all had something in common, they all fell asleep. “As the bridegroom was delayed, they all became drowsy and slept. But at midnight there was a cry, ‘Here is the bridegroom! Come out to meet him” (Matthew 25:6 ESV). While the foolish went off to buy oil, the bridegroom came and those who were ready went into the marriage feast, and the door was shut. Notice what happens when the foolish virgins return from purchasing more oil, “Later the other virgins also came, saying, ‘Lord, Lord, open up for us.’ “But he answered, ‘Truly I say to you, I do not know you.” (25:11-12). Notice the five doors in the photo above. One door for each wise maiden. The symbols at this wedding were everywhere. Like the inscription on the pillow below, “We are waiting for ‘just one more chapter!’ His Fall Feast. May we all return to our first love in this season. May we be ready and waiting with oil in our lamps, our wicks trimmed, our garments clean, our hearts prepared. May we see His Feast in all their glory and May the Father of Lights use this couple to spread the gospel with power and might. After 30 years they are reunited. It was at the age of 30 that the King of Kings began His ministry, our Messiah Yeshua, may He be lifted up! Many blessing to this couple! It hung there like a branch on a tree. Like shoe leather and cream with orbs of splattered sunlight. The timeworn camera had captured a split second of special. We would call it a black and white photo today, but to suggest it had a quality of such would be illogical. The little girl in the picture was very colorful, indeed. Her eyes were sorrow filled holes that bored into your soul. Her hair was ringlet curls that hung draped in perfection adorning her oval face. No one could have noticed anything else in the photo—not the trees or the rose bushes or the sailor dress that draped her thin body. They pled for love, solace, or some form of healing. They drank you in, mesmerizingly, till one could scarcely pull themselves away. Concealed in black and taupe, were irises speckled in a blue of the palest sky. The one who could empty a whole coffee cup within seconds by sloshing it on the floor was the same child in the photo. A child who would later hold the title of my mother. she folded up three creases on her forehead and twisted her mouth unpleasantly. “I steeped like a teabag. She was no peach, but neither a prune. And hoped she would get a whiff of it. I absorbed her like a cotton ball full of astringent. She got into my pours with her words. It tingled in a cleansing manner. Other words stung like a wasp. I opened the window and shooed out those words. Saving the witch hazel and rose water for my complexion. “Can you catch it?” she said, looking rather concerned. It tasted like lemon drops–the letters forming words. Like a ball of snuff in my cheek ready to drip out of my mouth. “The bars of teeth are hard to keep locked down,” I said. She bit her nail and looked worried. She chewed her index manicured digit. “Well, if we remember to use SonShine Words, they fly out like orbs. Glowing balls of light that penetrate clothing and even prune skin. I shouted a little too loudly like a two year old. “But now and then I mistakenly let a lousy morsel or two get past me. I ask myself “Did I harm their character? Did I make them look bad? “And what if you have?” she said with wide eyes of ginger, placing a hand over her mouth. “Well, I gargle with Listerine! I waited for the wasp sting but instead smelled a hint of rose water. She seemed to like my response. Only two creases showed on her forehead now. I planted a field of Sonflowers, I said, sitting up straighter. They can be contagious–attract bees as well. They can take over a meadow. Salty Seeds spreading through the Wind. She ran and got a burlap sack and untied it. I’m knee-deep in Sunflower seeds! Her eyes now peppermint bark scented. “They were a gift,” she beamed. “Of course, they were!” I squealed with delight. We danced and threw them in the air. The wind wore high heeled shoes and rained seeds that day. We held our mouths open, and a steady stream of water began to beat down. Suddenly we were as Naphtali running through the hills. 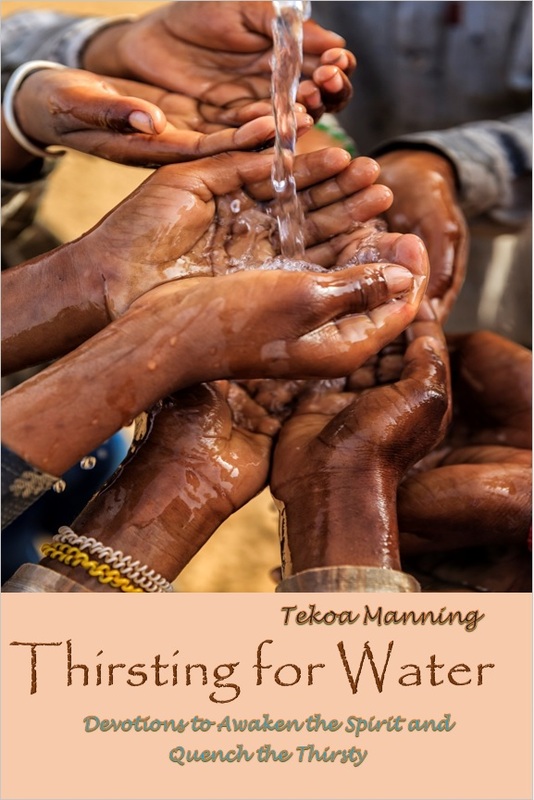 Artwork and poetry by Tekoa. What if our hearts were exposed in our ribcage? What if they glowed red with rage when angered? And the whole world knew? Where would we hide from our colors? Whenever we have conflicts or dis-ease, we must search and see our role in it. This portion of Healing of the Soul is about people in our lives who affect our health. These folks can cause us to bloom brightly and become whole, or they can be so despairingly toxic, we must get away from them to thrive. Sometimes this separation is temporary, other times it is permanent, but anytime you uproot a plant, you must be careful to replant it properly. Any plant expert will tell you that the root ball will need to be pruned and the roots untangled so they can grow outward. A plant is like a fish, kept in the same bowl; it will remain small. Sometimes plants outgrow their pots to the point the pot cracks. Not to be confused with a crackpot. Ha! Many experiments have been done concerning plants and speaking blessings over one, and curses over another. After commanding one to shrivel up and die, the experimenters were shocked to find; the plant did just that although it was given the same amount of water, sunlight and plant food as the plant that had blessings spoken over it. The sorcerer, Balaam, was hired to curse Israel, but one cannot curse what God has blessed. What does this topic have to do with the healing of the soul? Quite a bit. Who was this man named Balaam, and where did he come from? According to Jewish tradition, Jacobs’s father-n-law, Laban, had a son named Be’or, who became the father of Balaam. This lineage makes sense when we dig in deeper. Jacob had to leave Laban and take his wife’s, Laban’s own daughters and grandchildren, away. Why? Curses. “Now Jacob heard the words of Laban’s sons, saying, “Jacob has taken away all that was our fathers, and from what belonged to our father he has made all this wealth.” Jacob saw the attitude (heart) of Laban, and behold, it was not friendly toward him as formerly. Then the LORD said to Jacob, “Return to the land of your fathers and to your relatives, and I will be with you” (Genesis 31:1-3). Sometimes the people closest to us can cause more sickness and unease than we care to admit. Many families have a scapegoat; others love to mock, ridicule, or have jealousy rooted in fear. We see multiple people in the Torah who were oppressed by their family members or sadly even murdered. Walk in a home for the first time, and you’ll usually notice a family portrait with everyone smiling for the camera, but underneath those smiles may be a painful story. When you have a person like Laban and Balaam in your life, it comes with a forked tongue, divination, and control. Often, there is only one thing to do, leave. Why didn’t the Father tell Jacob to talk to Laban? Prove his innocence. Pray. Work things out? Seek a family counselor? Work seven more years? Forgive and stop living in the past, move forward? Continuing to stay in an atmosphere of toxicity causes pain, anger, bitterness, unease and an alarm to go off daily. Can you feel the seeds that were planted by Laban’s sons? This seed took root in Laban. Deep inside their hearts lied jealousy and accusations. Jacob had caused them to be more prosperous, but they could not see this. Only the Father can minister and change hearts, but the person has to want that. Pharaoh continued to harden his heart until The Father hardened it more due to his stiff neck. Picture a turkey’s neck, raw and slippery. No matter how hard The Father tried to bend it, it would not bend. King Saul was given a brand new heart, but due to his jealousy and fear of David, he lost it all. Jealousy and envy towards others are often rooted in fear–fear of not measuring up to others, fear of losing someone close to the person, and envy. Coveting others gifts is a big no, no. We must search our hearts to see if we carry any of these and repent. “I gave you milk, not solid food, for you were not yet ready for it. Indeed, you are still not ready. You are still worldly. For since there is jealousy and quarreling among you, are you not worldly? Are you not acting like mere humans?” (1 Corinthians 3:2-3 NASB). This quarreling and jealousy were among those who should have known how to act, but they were still wearing diapers and in need of milk. “Anger is cruel and destructive, but it is nothing compared to jealousy.” (Proverbs 27:4 GNT). Solomon exclaims that jealousy is as cruel as the grave. Balak was fearful of Israel. “And Mo’aḇ was exceedingly afraid of the people because they were many, and Mo’aḇ was in dread because of the children of Yisra’ĕl.” (Numbers 22:3 ISR). Balak and the people wanted to stop them from being fruitful and multiplying. They had great fear and great jealousy, but Balaam, whom Balak hired to curse them, eventually speaks of his eye (not eyes) opening. “When Balaam saw that it pleased the LORD to bless Israel, he did not go as at other times to seek omens but he set his face toward the wilderness. And Balaam lifted up his eyes and saw Israel camping tribe by tribe; and the Spirit of God came upon him. Falling down, yet having his eyes uncovered,” (Numbers 24:1-4 NASB). This cursing and coveting is a problem with the first family. Go all the way back to the garden and look at what transpires between brothers. “For this is the message which you have heard from the beginning, that we should love one another; not as Cain, who was of the evil one and slew his brother. And for what reason did he slay him? Because his deeds were evil, and his brothers were righteous.” (1st John 3:11-12 NASB). This same corrupt behavior is one that often starts in childhood and grows into puberty. Bullying is a national epidemic. There are four general types of bullying: physical, verbal, social, and cyberbullying. This is not just something that transpires among youth but adults as well. When a person is verbally insulted and socially alienated, considerable damage is done to the person’s self-worth and esteem. Many times it is crueler than a physical assault because the pain lingers long after the bruises heal. Like the plants who were spoken over with curses, the person being bullied dies a silent death daily. Their soul cannot shine in that environment. When Hagar’s son, Ishmael, started mocking Isaac, the promised child, Sarah sent them away. We know that a scorner in the camp can destroy all of Abba’s plans and even the health of the promised seed. Mocking is a word similar to blasphemy and comes from Strong’s 3932 la’ag, and it means to mock, deride, and stammer. When we mock others and especially those The Father has called for service, our words and deeds make us impure. Our prayers can even go unheard. We end up outside of the camp. Because we have caused others to isolate the one we are mocking, we too are isolated. Can you imagine being told by your wife to send your seed off? Abraham was saddened and went to the Father. “The matter distressed Abraham greatly because of his son. But God said to Abraham, “Do not be distressed because of the lad and your maid; whatever Sarah tells you, listen to her, for through Isaac your descendants shall be named. “And of the son of the maid, I will make a nation also, because he is your descendant.” Genesis 21:9-13 (NASB). “When they saw him from a distance and before he came close to them, they plotted against him to put him to death. They said to one another, “Here comes this dreamer! “Now then, come and let us kill him and throw him into one of the pits; and we will say, ‘A wild beast devoured him.’” (Genesis 37:18-20 NASB). Jealousy is crueler than the grave. Family at times can be a death sentence. Can you imagine the consequences of Isaac hearing a mocking spirit every day? Or Joseph being in constant fear of death daily? Bullying causes more suicides than we can imagine. Words have power. And silence can roar! Joseph, fearing for his life daily and hiding from his brothers, could have caused him distress, sickness, disease, and mental anguish to the point of death. He had seen how cruel his two older brothers could be. This type of fear keeps one on high alert. Can you hear the car alarm blaring over and over? Like a bear chasing you through the woods day after day. Sometimes an abusive spouse, sibling, boss, or an in-law is destroying someone’s mental health and physical health, even if they don’t lay one finger on them. Sometimes we have to pack up our tents and leave a territory and go to a land we know nothing of. Yes, sometimes the jealousy, mocking, cursing spirit causes parents to uproot their children and move across the states, hoping for a better school, a new group of friends. A spirit bent on destroying their child is after them, and they need a separation, like Joseph from his brothers for 17 years. Like Ishmael and Isaac. Ishmael shows up at his father’s funeral and even Esau hugs his brother Jacob’s neck years later–the very one he sought to kill. But waiting until the storm has blown over and the hearts of our adversaries have changed towards us, could save our lives and our souls. He is glorious. He will rise up and save us from our enemies according to (Isaiah 41:11-16). The Allman Brothers had a hit called Soul shine. I want to leave you with those lyrics. I like to tweak them to fit a more heavenly version but here is the original. That got you through the cloudy days. You feel like you’ve lost your way. Well, you got to let your soul shine. He used to say soul shine. Hey, now people don’t mind. We all feel this way sometimes. You gotta let your soul shine, shine till the break of day. Life can take the strongest man. Now sometimes I feel a cold wind Blowin’ through my achin’ bones. I think back to what my daddy said. 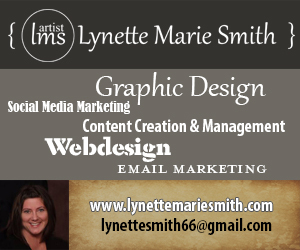 If any portion of this blog ministered to you, feel free to share.